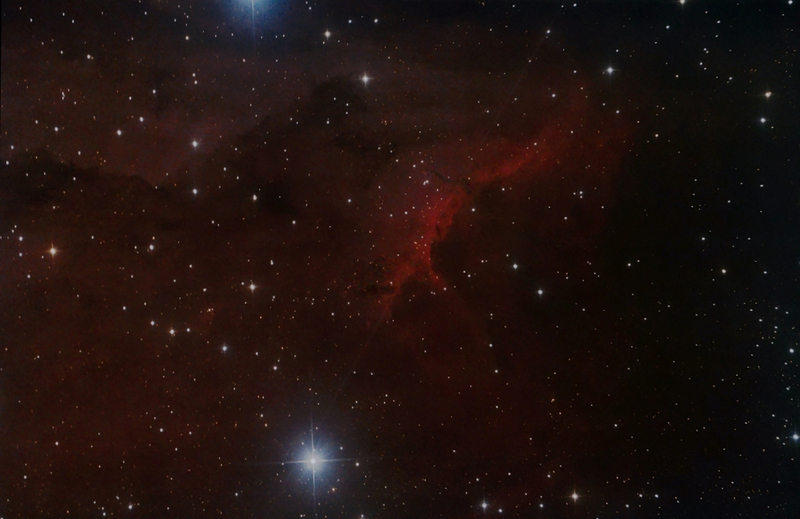 Here is a recent test image of the Pelican taken under crappy conditions as a test of a new Canon 60Da. The four, three minute subs were taken through fog that caused a fair amount of light loss. Only four of the frames were even usable. Click on the image to see a previous un-modified 350D image. Processing Calibration, stacking and DDP Images Plus . Masked noise reduction applied in Paint Shop Pro .